Am seding this article to a Professional Trainer. She eats healthy and cooks healthy as well. “Healthy” doesn’t really mean anything. The food indusry often uses it falsely. Organic and non-GMO are terms to look for, because organic veggies are NOT sprayed with Round Up. All frozen fish and seafood is NOT from China. Much of it tells on the package where it came from. Excellent article. Nature is our best doctor. Same question. How do you prepare this plant. Instructions please. You can eat them raw in a salad or steep for tea. Wash the roots well then chop into small pieces, place on a baking tray then into a low heat oven for about 2 hours,to dry out,then place in a bowl(not plastic),pour on boiling water, let steep for at least 15 minutes then pour some into a cup or mug, and as you would for tea or coffee, have plain or add milk and sugar to your taste then drink.You can eat the leaves and the flowers,or add the flowers to the tea. Watch the TEDx talk video. Tea made with the roots! I grew up eating dandelion salad and my kids love it. Pick them in the spring when the leaves are tender. Soak leaves before washing 10-15 min. Hard boil as many eggs as you like, we use 5 with 4 cups of loose greens. Remove the yolks, chop whites. Add the yolks to an oil, vinegar dressing until creamy and balanced to your taste. Add a bit of salt and pepper. They taste bitter like an endive. Don’t pick them from the yard if you have dogs. Some organic stores sell them. We ate dandelion in wilted salad like you describe, only with crisp bacon added. Mom put it over boiled potatoes. LOVED it. The commercially-raised dandelion available today is tasteless in comparison to the wild version that’s everywhere. My Italian family sautes the greens, as you would spinach, adds thinly sliced pepperoni, and eggs to make an omelette…delish!! For a good salad crop of dandelion leaves, grown in your own garden, use an inverted deep plantpot as a forcer. You will harvest bigger paler less bitter leaves. Move the pot to a new plant after harvesting one crop. Please describe: ‘inverted deep plantpot” I don’t understand but want to try. I too don’t understand what you mean. Inverted is just upside-down. Put a bit pot upside down over the plant so the leaves don’t get as much sun, making them less bitter. All parts edible & nutritious. Wash & dry blossoms then batter & fry them (great in salads as well). A quick boil of the greens then sauteed in bacon drippings is a delicious dish (w/side of cornbread). I dry the roots after scrubbing them with a nail brush, dry a few weeks in kitchen window then store in old jar. I grind these dried roots in an old coffee grinder & add 1/2 tsp to coffee & tea. Very subtle pleasant flavor to enhance your Java. Be cautious if on blood thinners though as I do know the roots can thin blood as well. So 1/2 tsp serving per day should be safe, maybe two if fighting cancer. All parts of the dandelion are edible but are much better tastin when the are young. Stem, leaves, both flowers and the root bulb are edible. HOW do you cook them??? You can cooked the greens like any wilted green recipe, including roots, in soups, but fresh with a homemade light vinaigrette or even something creamy would be good! I was wondering the same thing. How do you prepare them? What part do you eat or cook? The leaves can be cooked like any other greens, or eaten in a salad, as well as the yellow flowers. Not sure about the root. The root can be cleaned, dried and used to make tea in colder months. How do you extract the oil/ juice from the root? Can you just cook the greens and get the same effect? I like to make a fumantate. Let it sit for good years. Then i use for making a side dishes. I believe the article says “tea”, which is typically mafe from dried roots. Who responds to the questions posted here? I’d like to know the same as above questions. And what is the taste like (bitter, sour, etc.)? the new zealand maori call the leaves puha and they cook it just like spinach. No Puha is another plant altogether. Sonchus kirkii is most likely the original Puha but there are other Sonchus species eaten and called Puha. Dandelion is a related plant in the Asteraceae family and in the same Lactucinae subtribe as Puha but it is a different Genus altogether. bitter. I recommend using honey in your tea…local if you can. the greens can be used in your salad…the roots dried and chopped up, steep for tea. 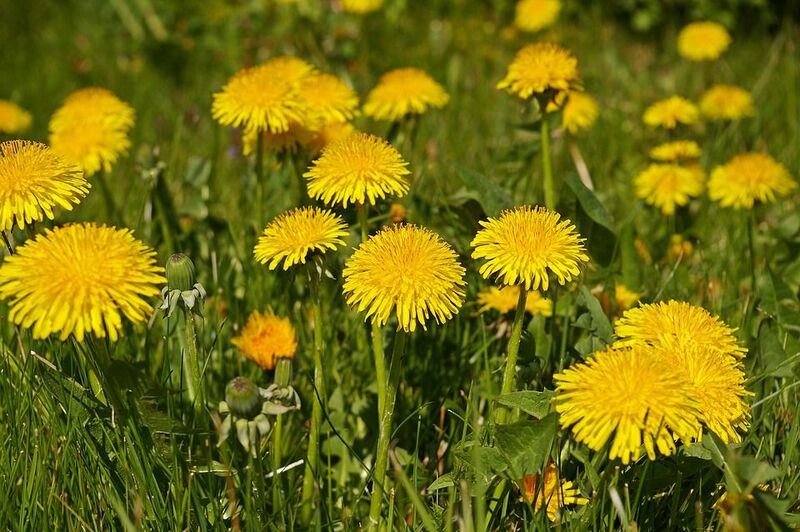 I cured and got rid of kidney stones with dandelions! I have stage 4 cancer now….so I am using it the best I can. I really would like to know how to prepare it to help the kidneys. Have CKD. Need answers, please. My grandson has PKD. If you get an answer, I would like to know too! Leaves are good in salads and I have a family member who breads and fries the blooms. Tea is made from the roots. I infuse the flowers in oil and mix w/ bees wax for an awesome salve for sore muscles. Save the water it was boiled in for soups and stews. It can be frozen if need be. Plants do not contain b12 . If this info is incorrect I can’t trust any of it . If they are in organic soil and not washed too thoroughly they do. Plants do have B12. Search Ashitaba, a plant known to have B12 in it. I eat leaves raw in a salad. Dry out root and crush them to make a tea. Thanks for the link! This clears up quite a few previous posted questions. Mediherb sells an amazing dandelion root tonic. They have 2 types one is the leaves and one is the roots. Helps with “mouth soars” – Seriously? Couldn’t finish the article after that. Skeptical of the scientific quality of an article when the author can’t even use words correctly. Can you grow dandelions yourself? This type of information can easily be verified. And it’s a safe plant that’s been used for decades. If people don’t choose to learn more about managing their health in a sensible, effective way, then it’s not the fault of the information. Their decision to “only eat dandelions to get rid of cancer” is their own, and not the writer’s. Can anyone buy dandelions in stores , if so is it called by another name. Would it be sold at the Rx. or where. Wash/rinse blossoms Pat dry then batter & fry (delicious on salads), give greens a quick short boil to remove any bitter tannin taste then saute gently in bacon drippings, I gather the roots scrub them with nail brush, dry two weeks in kitchen window sill then store in old jar. I grind dried roots in old coffee grinder & add 1/2 teaspoon to coffee or tea. Has very pleasant subtle flavor. Caution when taking blood thinners as I know the roots at least can thin the blood. Would think 1/2 tsp daily should be safe & sufficient. Everything in moderation right. This article is purposefully seeded with little bits of misinformation. You know people are desperate when they or a loved one gets cancer, and so you take something with no real studies behind it (although a lot of potential and promise, nothing else yet), and you sell it like you are gifting sagely advice. I have no doubt that Dandelion has a lot of potential medicinal uses. But you’re preying on people. Maybe because you yourself are this ignorant. Or maybe you know exactly what you are doing. It ahould read “mouth aores” not mouth soars. Every dandelion that I have seen is filled with tiny slender black bugs…how do you remove them all before using the flower?